There’s nothing that says Christmastime like decorating the tree, right? And your tree decor style says a lot about you and your family. Maybe you’re one of those moms who has ornaments of blown-glass pickles and martini glasses (holla at my mom). Maybe you’re the one who has the entirely color-coordinated silver foil tree with all-purple ornaments. 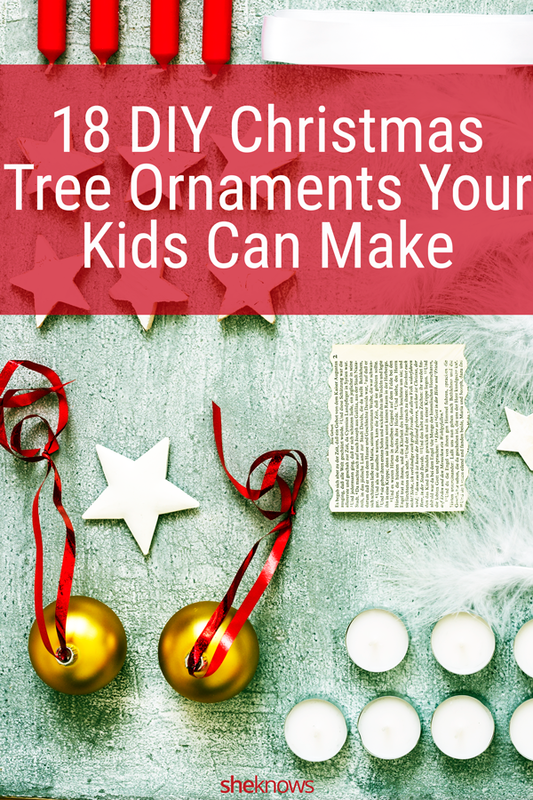 Or maybe (hi, most moms), your tree has no rhyme or reason to anything that’s on it because your kids simply attack it with everything from their drawings to their questionable craft stick art to their literal cereal spoons to their school photos in pipe cleaner frames followed by a dusting of glitter and macaroni. But hey, if you break out in a cold sweat every time you encounter a glue gun and panic when you hear the dreaded words “craft corner” — never fear. 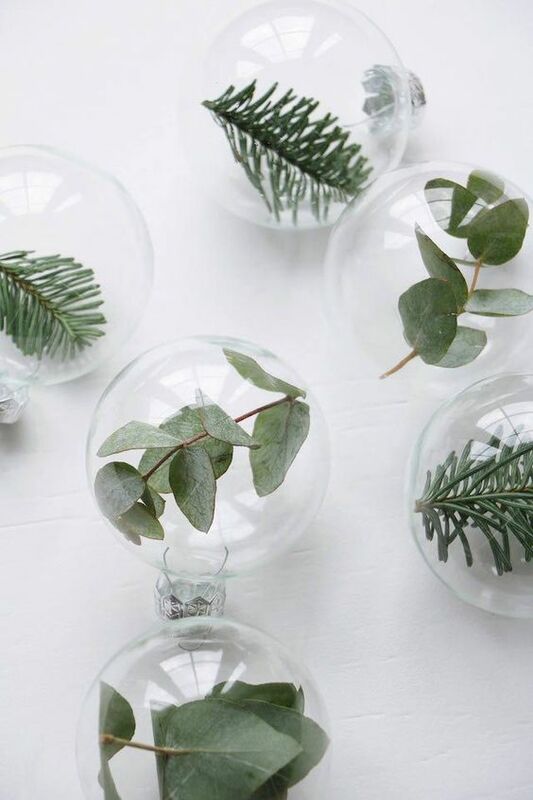 We’ve rounded up the most elegant DIY Christmas ornaments that are so easy, even your kids can make them. So gather up said kiddos, turn on a Christmas movie, and take some deep breaths. But maybe don’t inhale too close to the glue gun fumes, OK? These little fabric-covered tree ornaments from Alice & Lois are not only adorable but super-easy and totally customizable depending on the fabric you choose for each ornament. Finally, a way to fill those cheap clear globes that doesn't look tacky or involve an entire bottle of glitter. 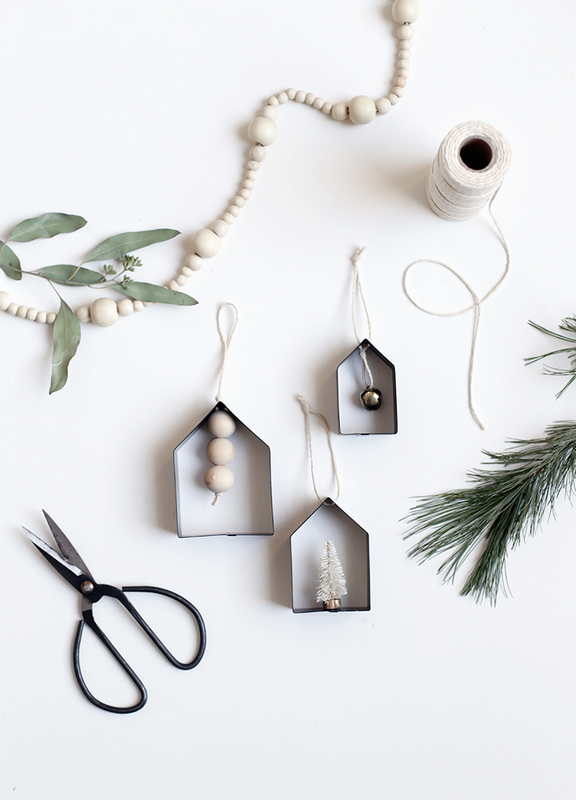 These botanical ornaments from My Scandinavian Home are gorgeous, natural and ridiculously easy to make. How cute is this teeny igloo? 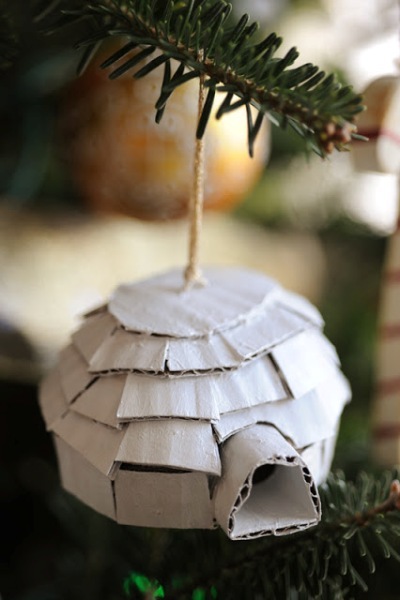 All you need are cardboard, glue and some white paint to make this cozy DIY. Head over to Rust & Sunshine for the full tutorial. 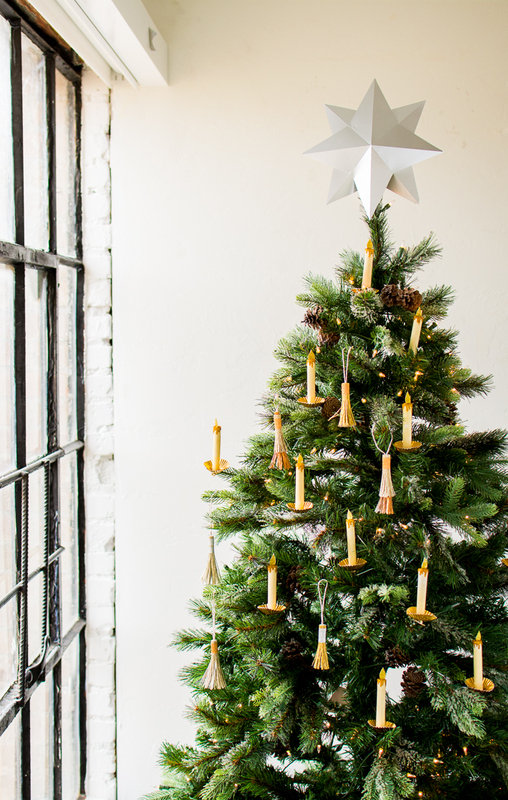 This simple DIY will take you five minutes to make a dozen ornaments. Easy-peasy. 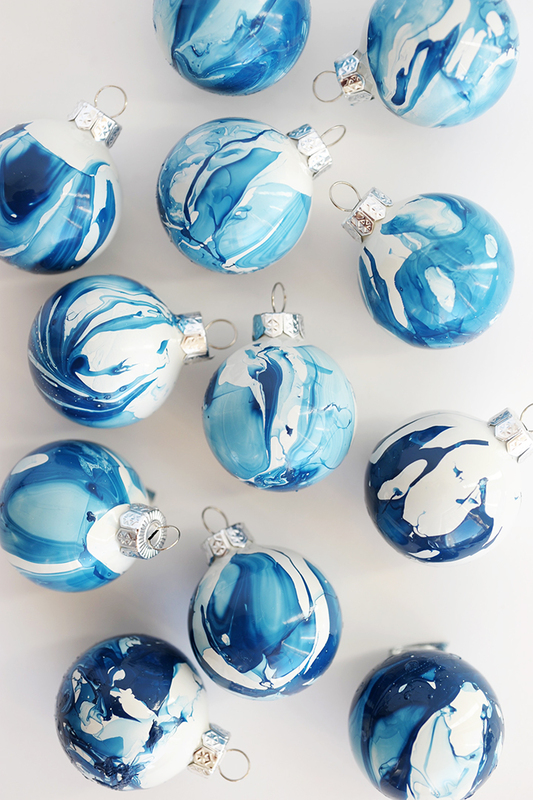 All you need are blue nail polish (or whatever color you like), water and white ornaments to make this cool marbled effect. Check out Alice & Lois for the step-by-step directions. 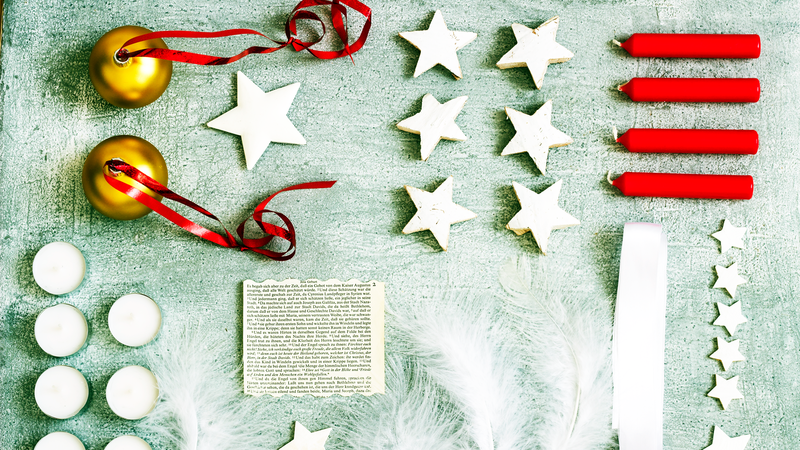 This DIY comes from the queen of holidays and crafting herself. 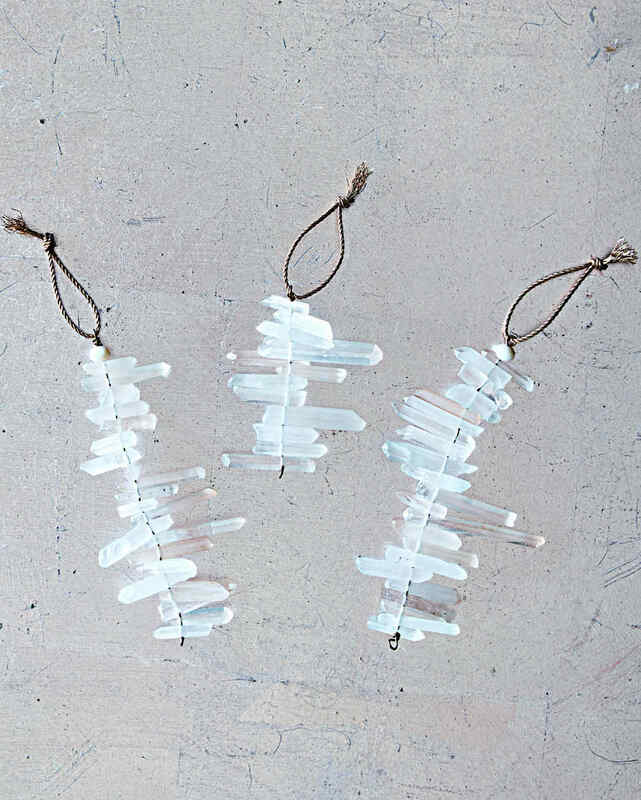 These beautiful quartz icicle ornaments are a cool spin on the classic glass icicles and require little more than quartz beads, jewelry wire and string. Head to Martha Stewart for the full tutorial. 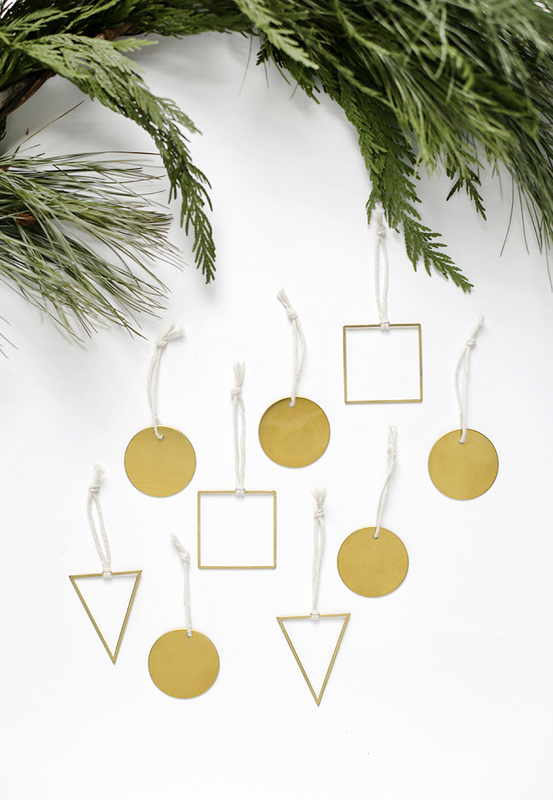 How minimal and chic are these DIY brass ornaments from The Merrythought? 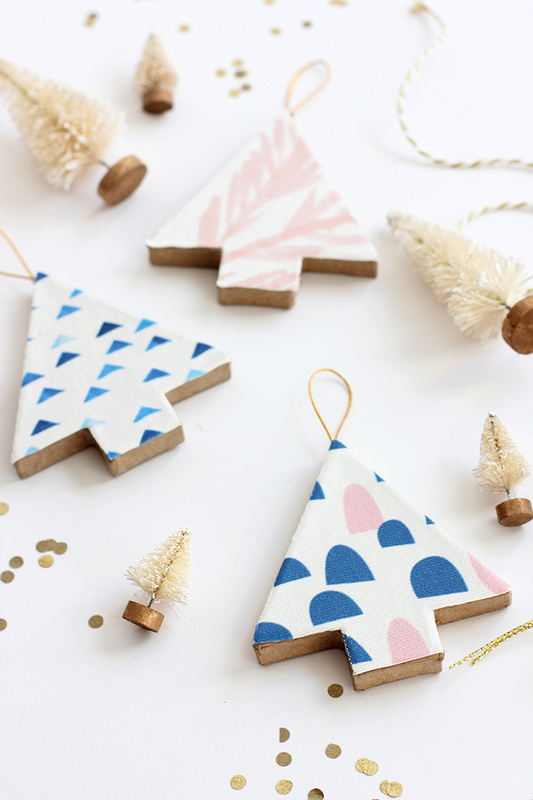 These are sure to add a modern geometric twist to your Christmas tree decor. 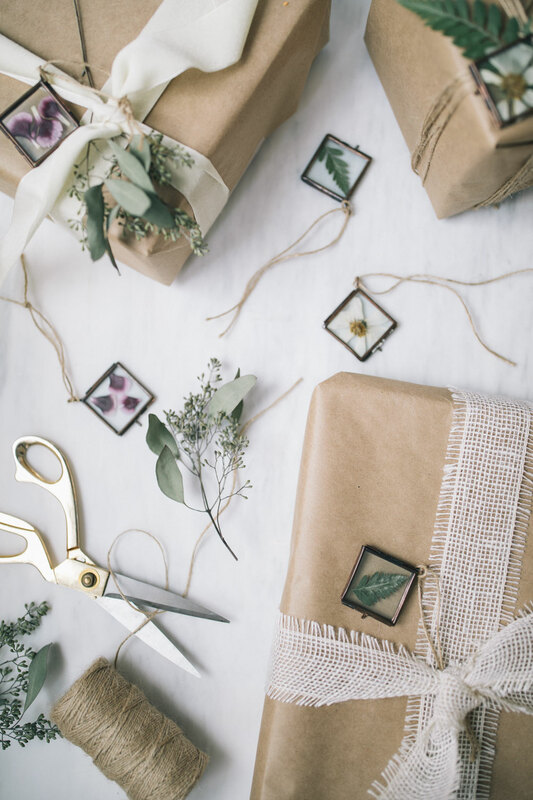 The geniuses behind Say Yes have come up with a straightforward, effortless DIY ornament you can be as creative as you like with. Air-dry clay and string are the only materials needed. 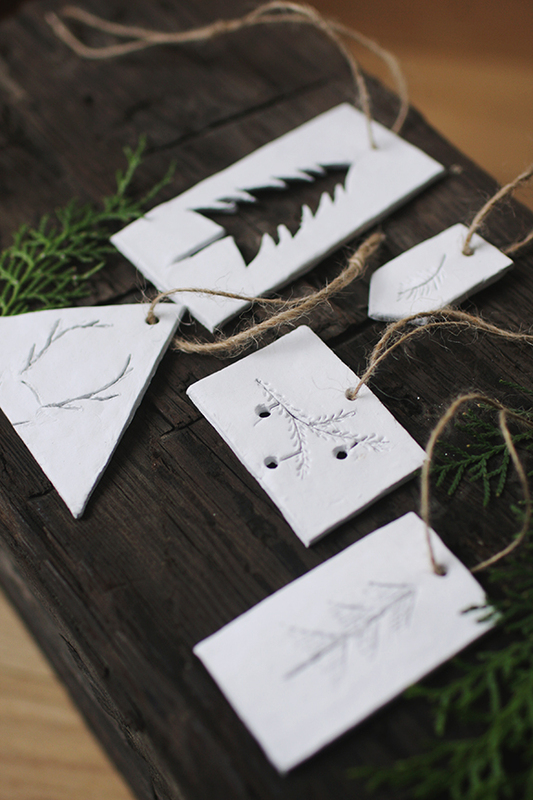 It's a blank canvas for festive holiday design. Let it snow, let it snow, let it snow. 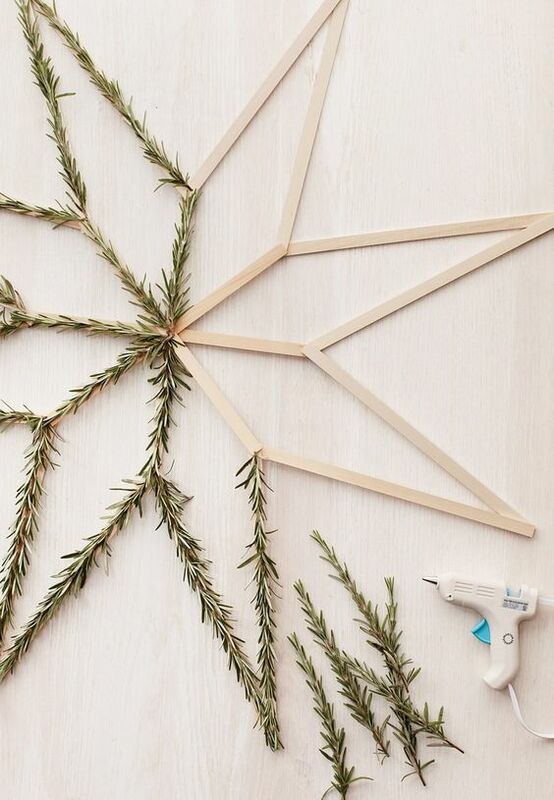 If you don't get a white Christmas, let this DIY snowflake ornament make your Christmas a little bit brighter. Check out Alice & Lois for the full tutorial. 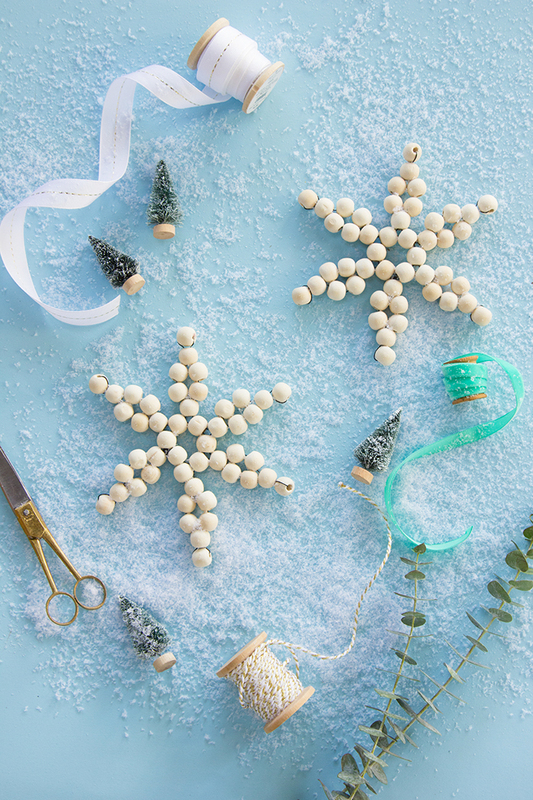 Cookie cutters, beads or bells (or both) and some string and voilà! Instant charming ornament. Use house cookie cutters like The Merrythought or opt for a more holiday-specific theme, like pine trees, stars, snowmen or reindeer. This DIY requires an oven, so you might want to keep an extra eye on your littlest helpers while they help you with this ornament, but the results are too pretty to believe, and bonus: It smells amazing. Check out A Beautiful Mess for step-by-step directions. Real candles on your tree are nice, but since it's also a major fire hazard, these paper candles from The House That Lars Built are just as cool with none of the fiery potential. This DIY uses a hot glue gun, so maybe save this one for your older kids or just make sure your 2-year-old is distracted while you use it. 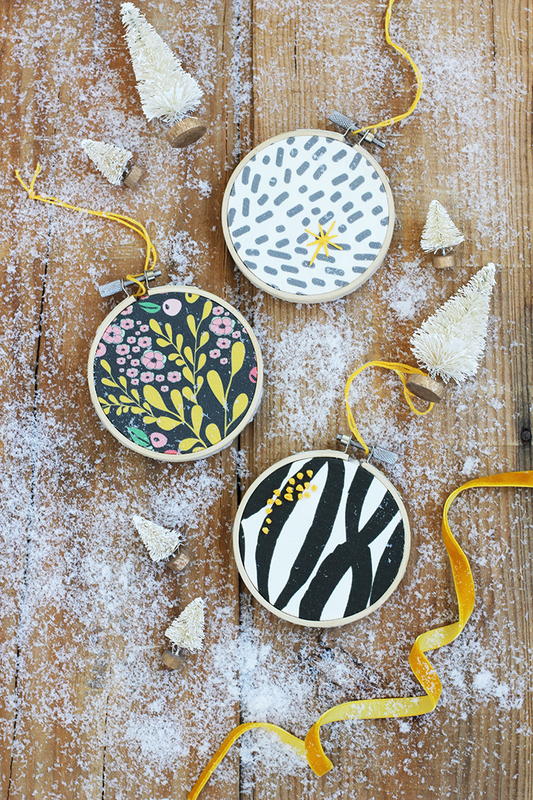 Embroidery hoops are not something that usually remind us of Christmas, but leave it to Alice & Lois to make extraordinary ornaments out of the ordinary. This DIY is super-easy, and the results are stunning. Plus, you can embroider names, holiday sayings, trees or snowflakes for a special holiday-specific twist. This DIY is a way to bring the beauty of flowers and summer into the bitterness of winter and will remind you of the warmth of hazy summer days while you huddle around the fire in your long johns. The Blondielocks has the full tutorial in just a few easy steps. OK, technically this isn't an ornament, but scale it down, and it will be the most gorgeous ornament on your tree. Instead of evergreen, you could use rosemary for a fragrant substitution. 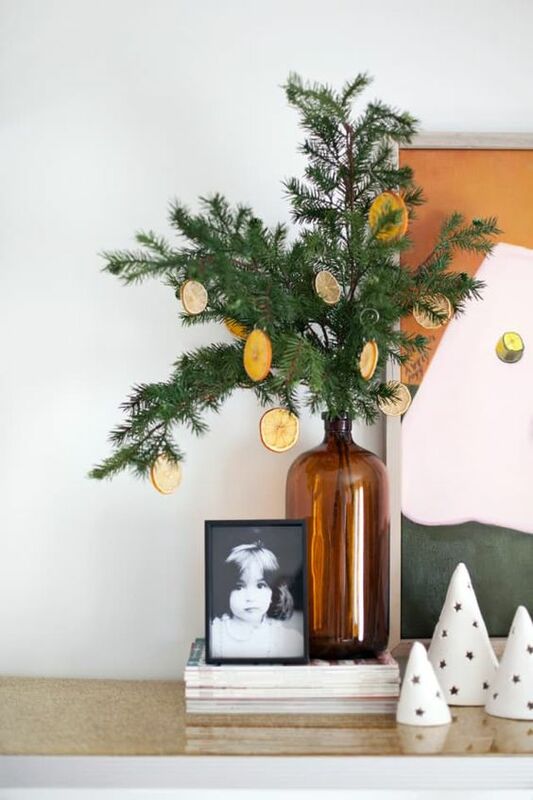 Trust Martha Stewart to have all the details for this utterly brilliant DIY. 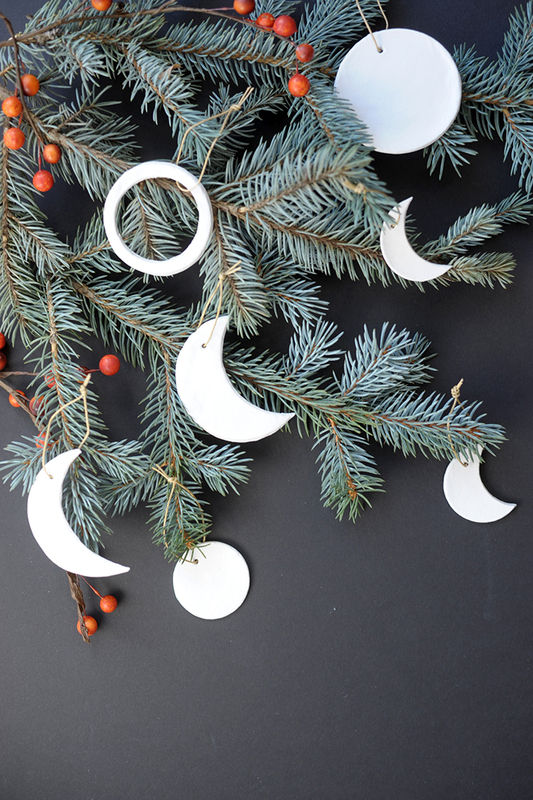 This moon phases DIY is super-easy and is a wonderful reminder of the changing of seasons that Christmas brings. Once Christmas is over, hang these anywhere in the house for year-round decor. Head to Alice & Lois for the full tutorial. 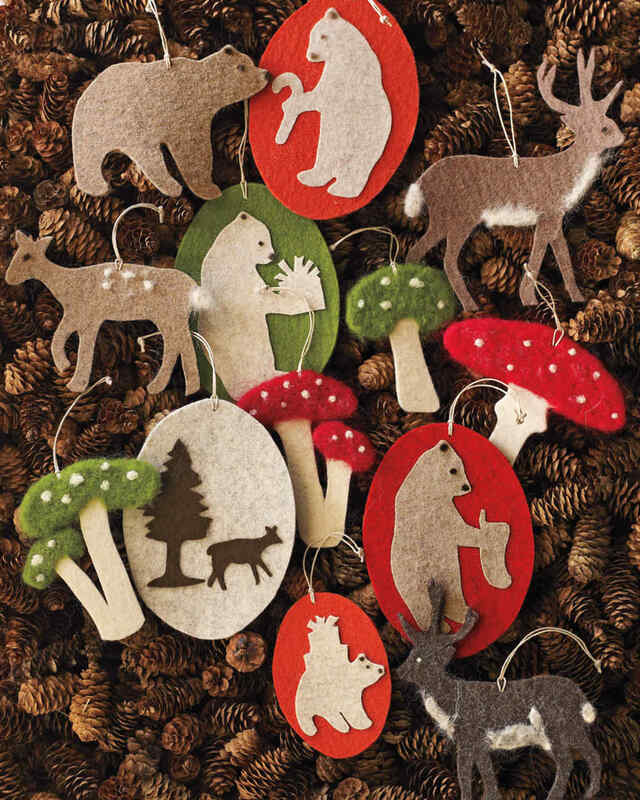 Martha Stewart has done it again, this time with woodland creatures needle felted ornaments that are adorable and may quickly become the stars of your Christmas tree. You might want to stick one of these mushrooms on top of your tree instead of an angel this year. Pin this and get crafting.